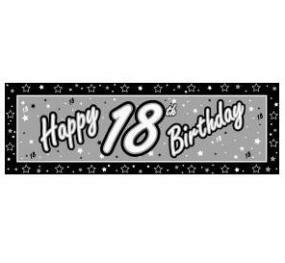 This giant 18th birthday banner is white with silver print. It is made from plastic and so is suitable for using indoors or out. It has reinforced holes to secure the banner. The banner measures 152.4cm x 50.8cm (60" x 20"). Very good quality and size was exact.